Welcome to the city that vibrates to the rhythm of power and politics. 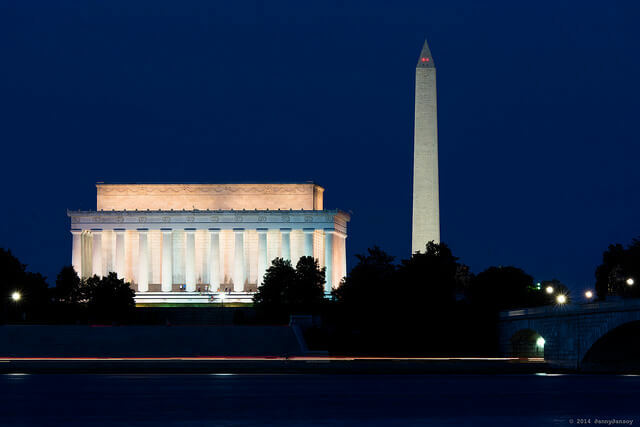 With its timeless museums and majestic monuments, Washington D.C. shows off its title as the District Capital. 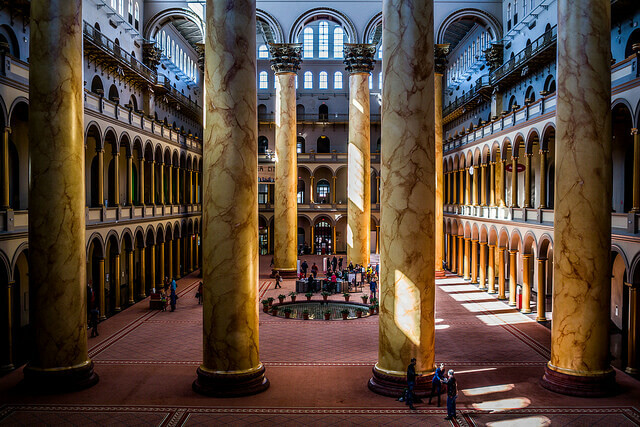 In D.C. you breathe in America’s history while exploring the novelties that revitalize its oldest corners. 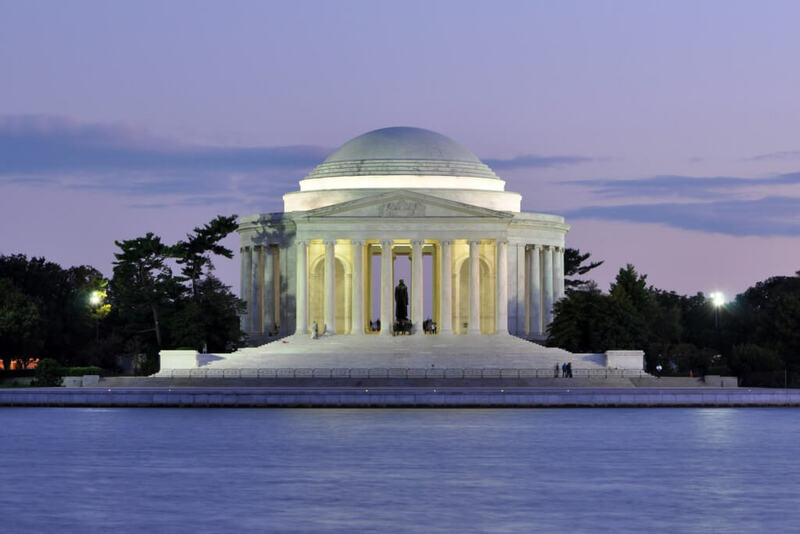 It’s as easy as riding the Metro or hopping on a bicycle to experience everything D.C. has to offer in just 24 hours. Ready for your crazy adventure filled day in Washington D.C.? 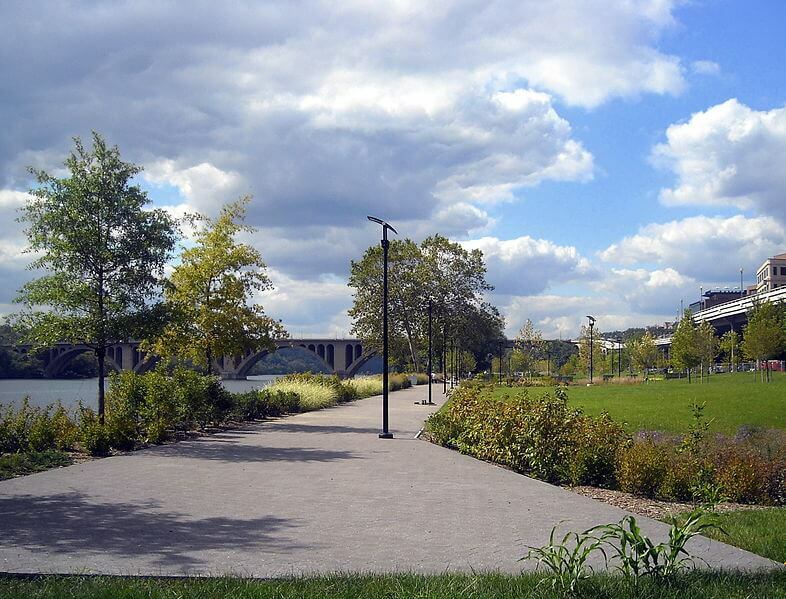 The Georgetown Waterfront park has it all: a main promenade, a big fountain, ice cream vendors and even a labyrinth. During the summer, the fountain lights up with vendors and a musical show, while it becomes an ice skating rink during the winter. “I love walking though the Georgetown waterfront because it has a hallucinating view of Roosevelt Island, specially at sunset,” George Washington University junior Jose Miguel Barba said. You can find great art outside of pristine museum walls in Washington. Union Market’s surroundings stand out with splashes of creativity. 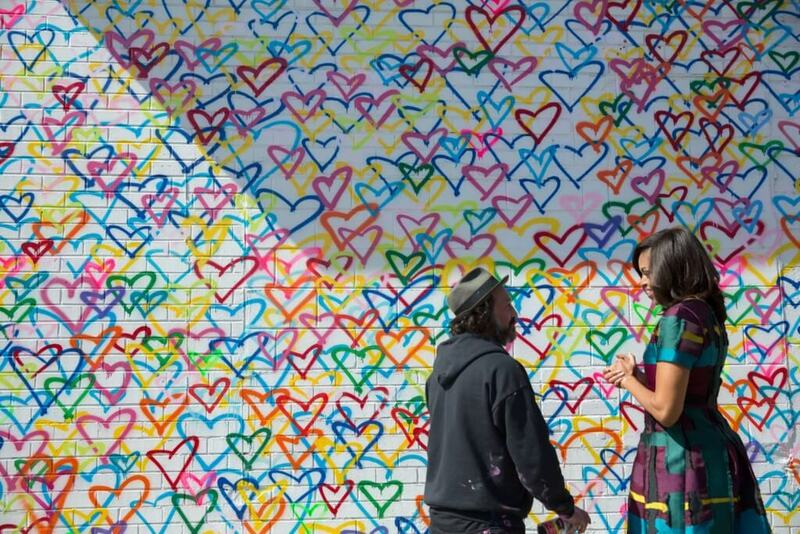 Whether you pose by the colorful Heart Mural or the eye-catching Blue Eye Wall, D.C.’s graffiti makes for the perfect Instagram post. 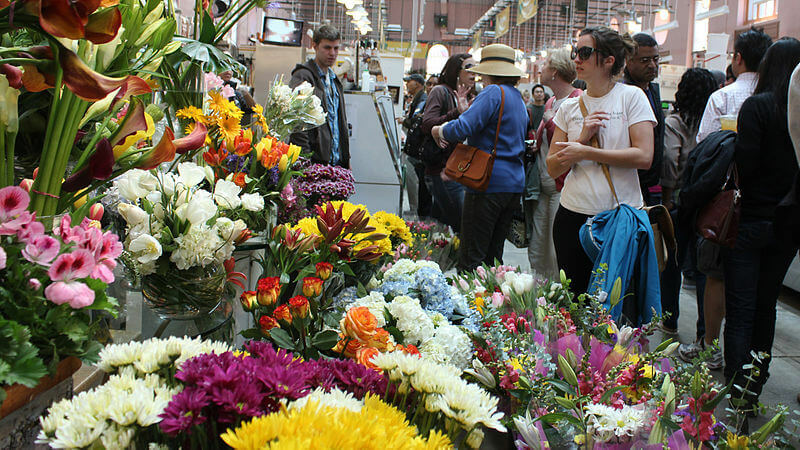 Enjoy food tasting at the Eastern Market, D.C.’s oldest operating public market located in the heart of Capitol Hill neighborhood. Inside you can find brightly-colored fruits and flowers, alluring pastries and perfumed cheeses. You can also find gifts like jewelry or handmade arts and crafts. 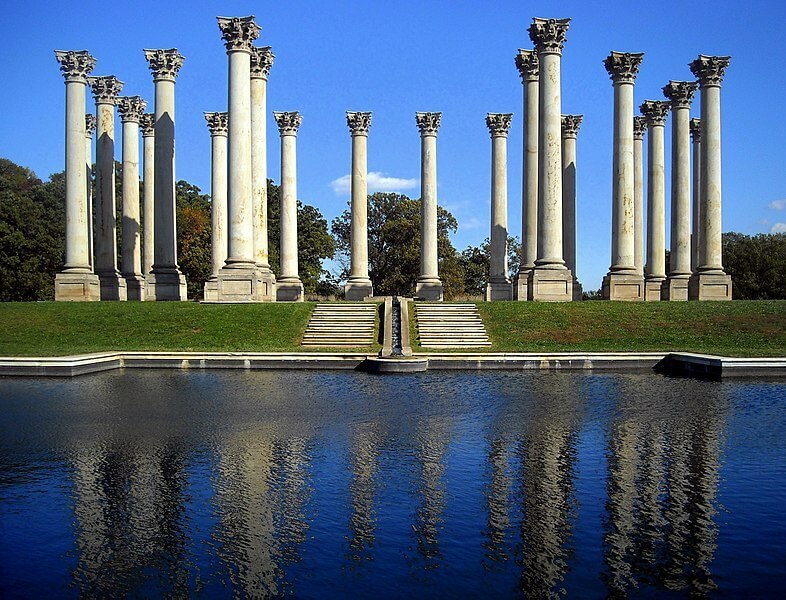 Just 30 minutes away from the neoclassic monuments and across the Potomac River lies D.C.’s hidden gem: Alexandria. “There’s always something new to discover among Alexandria’s centuries-old buildings and brick-lined streets,” Georgetown University sophomore Clara Finkel said. 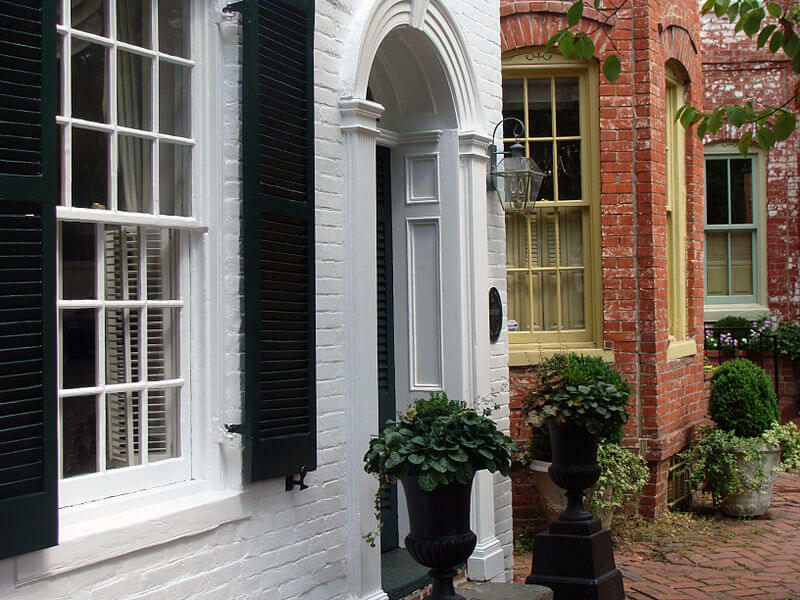 Alexandria is just as packed with colonial history as D.C. but it allows you to explore the past without having to make your way through a bunch of tourists wearing cargo shorts and fanny packs. 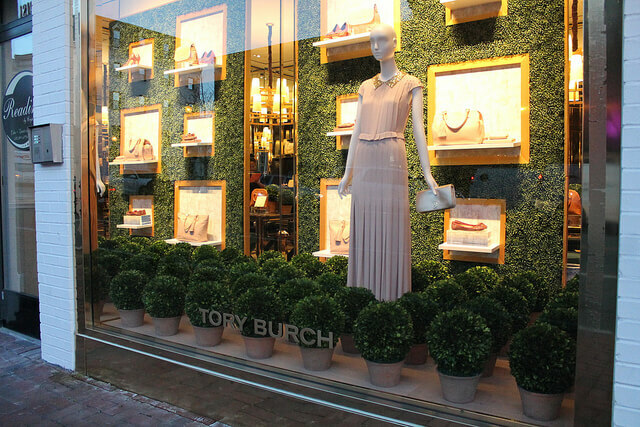 Georgetown has everything to keep you stylish from head to toe. You can find anything from big chain stores such as Anthropologie, but you can also find unique pieces at the local boutiques. 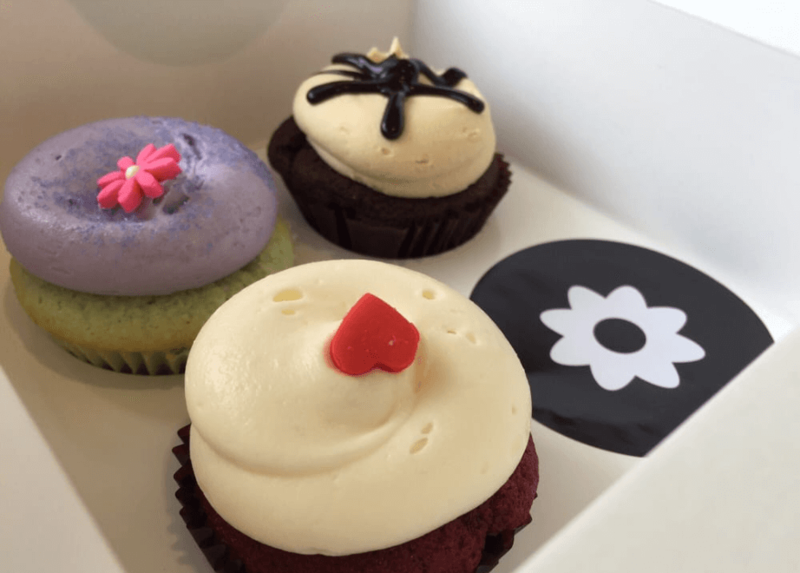 These cupcakes are a bite of heaven. The never ending line is worth it, trust me. For all sports enthusiasts out there, the Potomac River awaits. 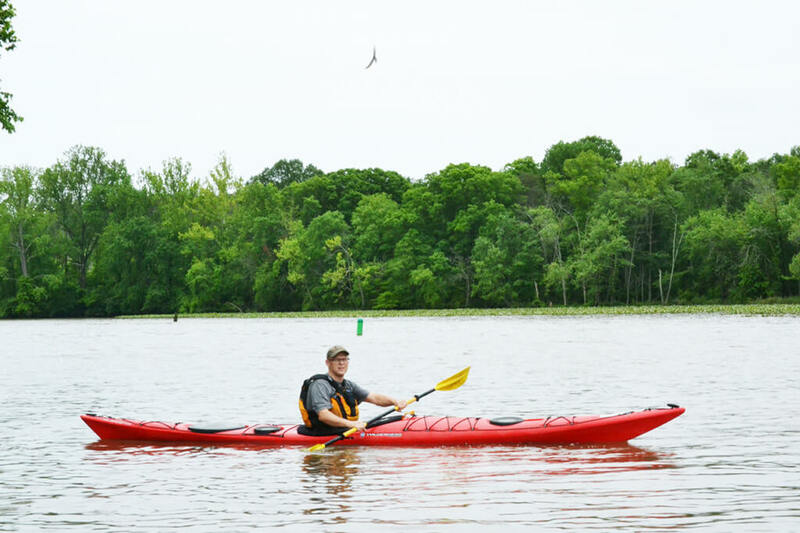 As a high-intensity cardio work out, kayaking will burn some extra calories and tone those muscles. 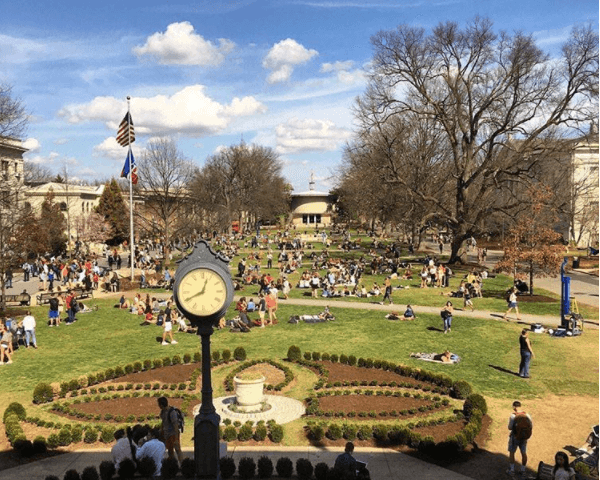 “To make the most of my workout in the Potomac, I usually sprint back and forth toward one side of the river,” American University junior Samuel Toal said. 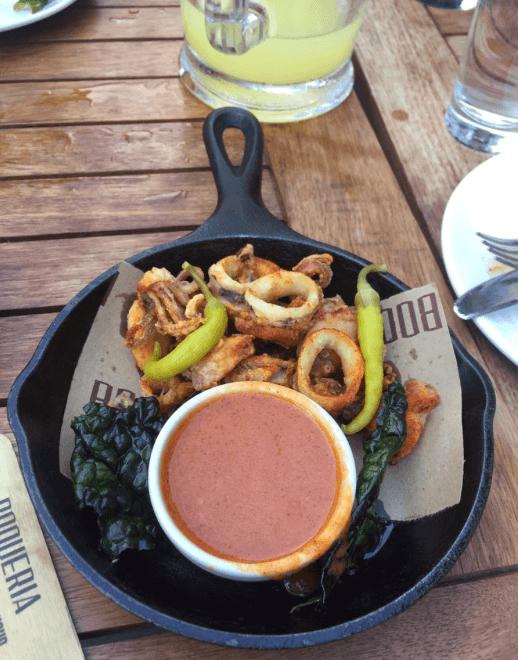 Brunch is always a good idea, and brunch at Boqueria takes the (pan)cake. With everything from eggs benedict and jamón serrano to Nutella-stuffed churros, your stomach will be rumbling in no time. If you’ve ever seen National Treasure 2: Book of Secrets (umm… who hasn’t? 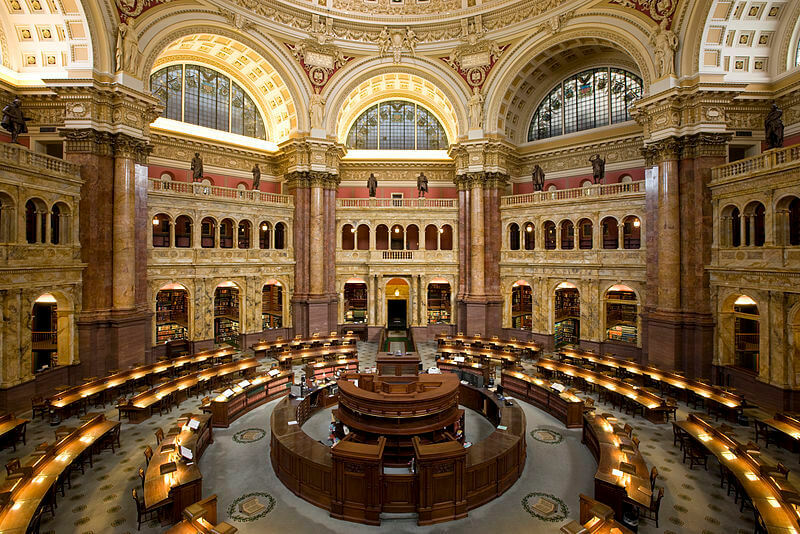 ), then you definitely remember Nicolas Cage running through the main reading room of the Library of Congress. Its detailed walls and ornate floors house more than 138 million books and a collection of paintings and sculptures that will leave anyone speechless. Is there any other place on Earth where you can relive the past for free? Whether you want to stand side by side to a T-Rex or catch a flight at the Air and Space Museum, the chain of Smithsonian Museums echo every event in the world’s history. Feel smarter yet? You can never tire of the spires and spirals of amazing architecture in D.C. So much so, that they even dedicate an entire museum to it. With a terracotta depiction of the union soldiers that wraps around its wall and enormous Corinthian columns, the museum does not only honor architecture but also history. 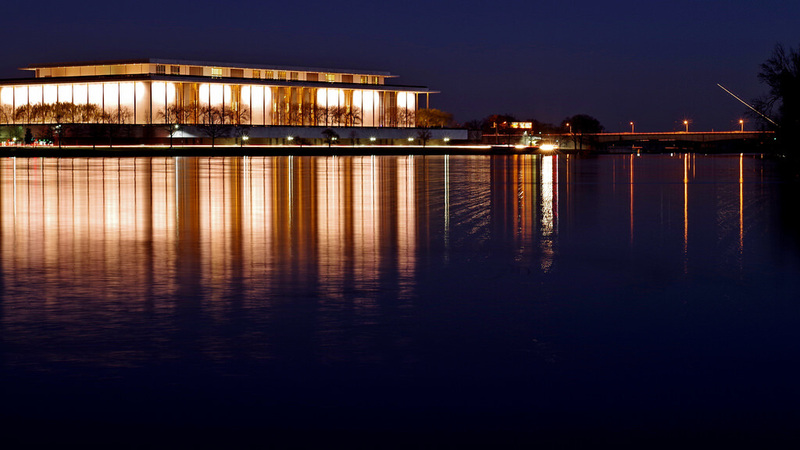 While the Kennedy Center is the powerhouse for performing arts shows in D.C., it also serves as the perfect spot to take a break from a long day. From the top, you’ll see the juxtaposition when the city lights up as sky darkens over the Potomac River. Did anyone say free music and drinks? Luce Unplugged is a free monthly concert held in the Smithsonian American Art Museum’s Luce Foundation Center for American Art. 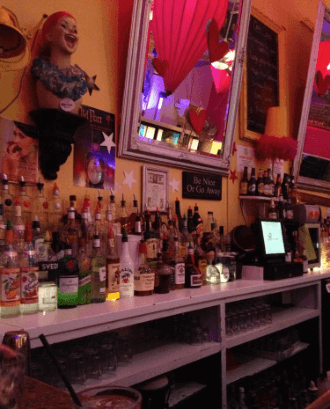 Every show features two musical groups selected by the Washington City Paper and includes a bar where you can sample drinks from a local brewery. From the riots after MLK’s murder to the 1970s economic crisis, this place has seen it all. 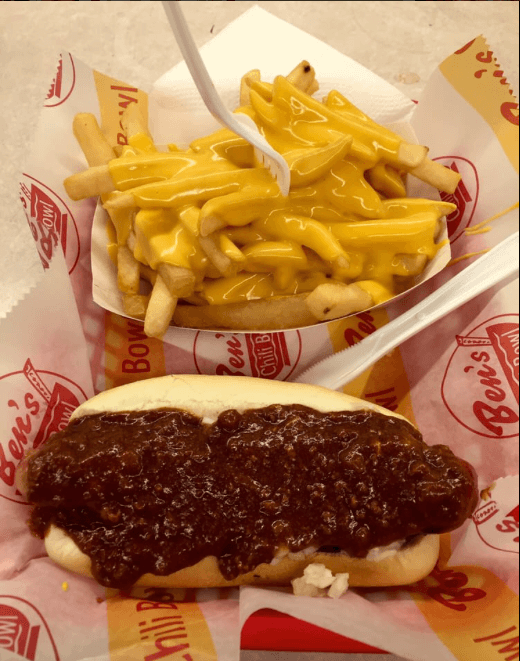 But history is not Ben’s Chili Bowl customer magnet, since the chili half-smoke and chili cheese fries bring stars and politicians from all across the world. Sit on the benches where the Obamas sat, and enjoy D.C.’s most iconic half-smokes. Whether you take risks with your ‘fits or just enjoy wondering past racks of knitwear and graphic tees, you can always find a reason to venture into Adams Morgan’s thrift shops. 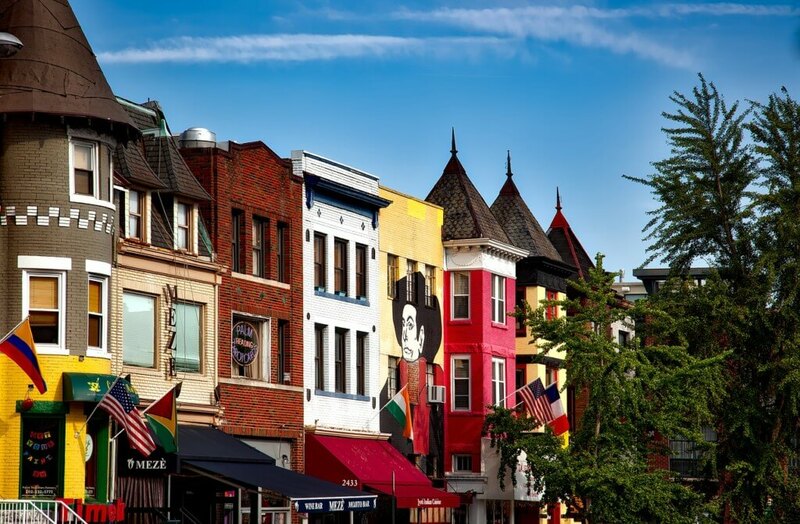 Lined with row houses down 18th street, Adams Morgan takes in fashion-hungry millenials like a church of thrift. “You’ll always find one-of-a-kind looks for affordable prices,” GW sophomore Julia Correa said. 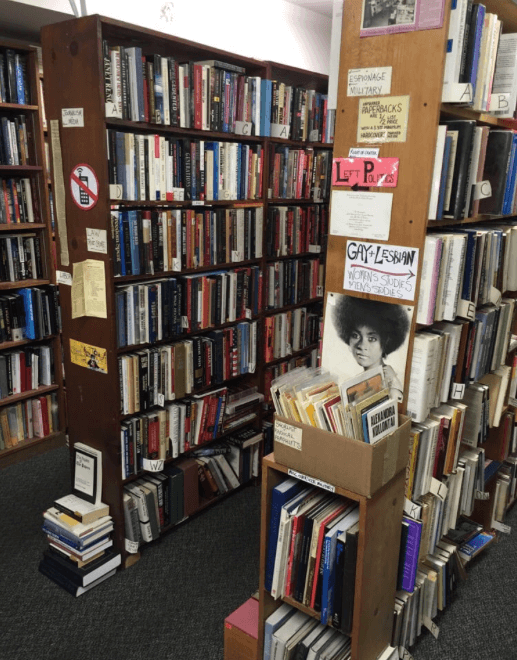 Now that you are standing amidst the comfortable buzz of the Adam’s Morgan neighborhood, you might as well stop by Idle Times Books. You can enjoy the search for the most unusual book you’ll ever read to the subtle sound of jazz in the background. Words age well, and in Idle Times Books these silver foxes beg you to touch their binding. 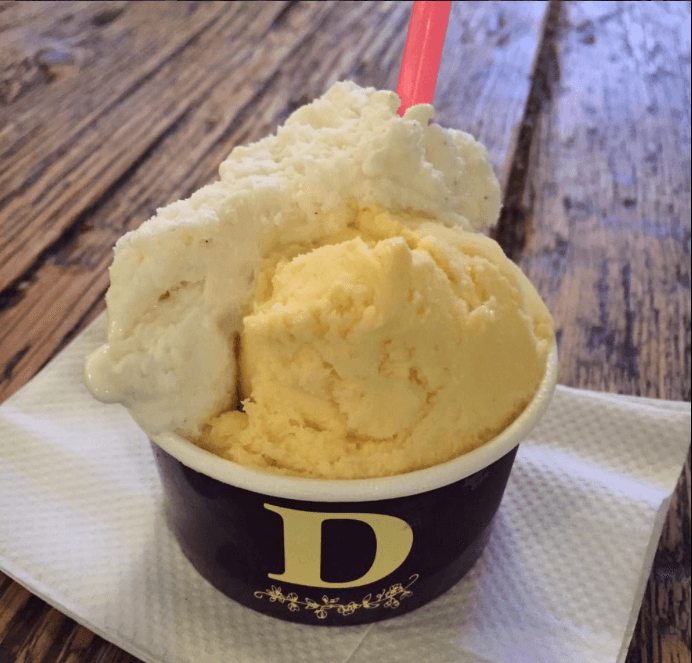 Did you know the gelato is crafted daily with farm fresh local ingredients? “Dolcezza is one of those places where you can go anytime you want,” Catholic University sophomore Julia Hawthorne said. “I often go there late at night to study while I drink a delicious affogato, and it’s a very popular place for dates.” It’s easy to see why, with flavors ranging from strawberry tequila to Thai coconut milk. 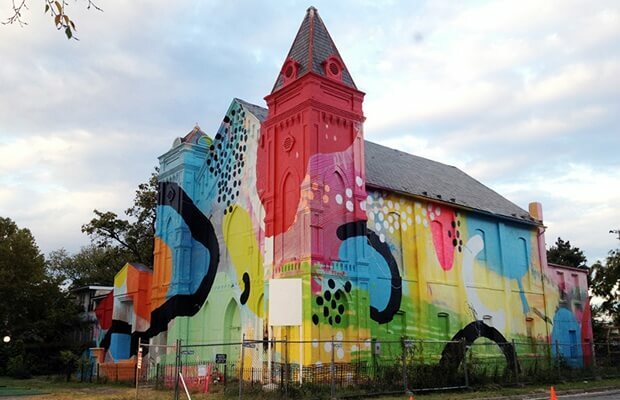 This historic neighborhood church looks like the the entire rainbow sneezed all over it. Covered in polka dots and splashes of happy colors, Blind Whino begs to serve as every artist’s next muse. 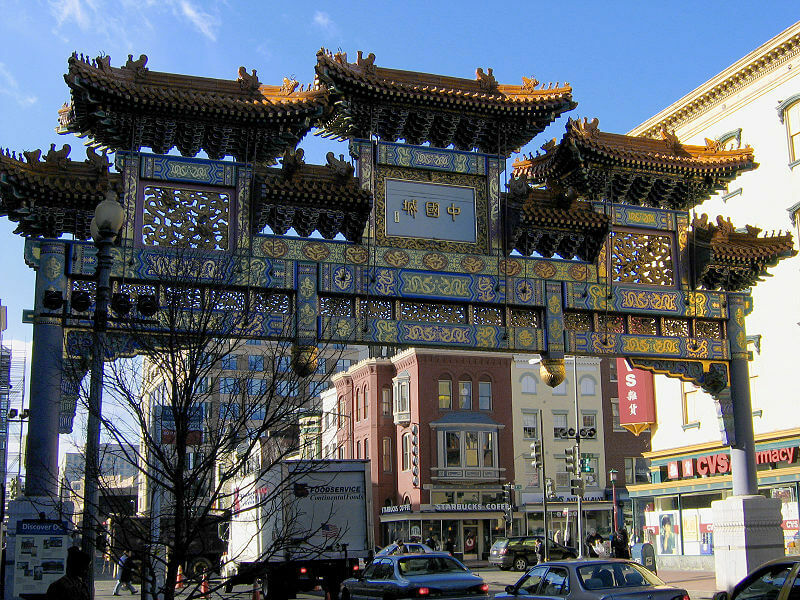 Although Chinatown is a small neighborhood, it makes up for its size in big energy. Once you enter the colorful friendship arch, D.C. transforms into a nationless city. You’ll see the funkiest styles, listen to different languages and try delicious new food. 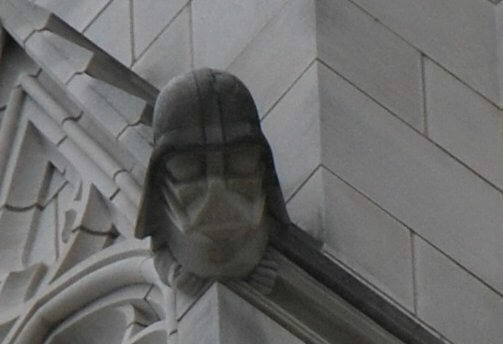 That’s right, the iconic sci-fi villain is one of the many statues that decorate the sixth largest cathedral in the world. You just might want to take some binoculars to see the small overlord. Did you even go to D.C. if you didn’t see at least three memorials? You could spend a whole day checking out all of them. And, what better way to end your trip to the historical capital, than by visiting the people that participated in making its history remarkable? Maria Clara is a sophomore at Boston College, studying Communications and Sociology. She is Ecuadorian, adores listening to live music, making collages and lives off of ice cream and avocados.